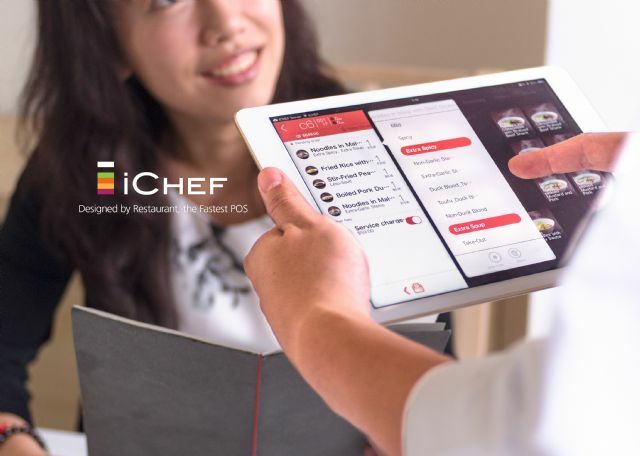 After considerable deliberation by an international jury panel, 48 entries were announced as winners of the prestigious TAIPEI CYCLE d&i awards 2016; while among them, five products were granted the TAIPEI CYCLE d&i gold awards, and the special “Gold Award – Young Enterprise” was given to startups showing outstanding achievements. Makers and designers could until Dec. 31, 2015 submit products for the TAIPEI CYCLE d&i Awards 2016. Hosted by the semi-official export-promoter Taiwan External Trade Development Council (TAITRA) and Taiwan Bicycle Association (TBA), the TAIPEI CYCLE d&i Awards are managed and organized by iF DESIGN ASIA Ltd. The bicycle industry in Taiwan, led by established makers as Giant and Merida, has remained steadfast amid overall export declines over the past year. So bicycle trade fairs and design contests held in Taipei take on encouraging significance. An article posted on Bicycle Retailer cites export figures from the Customs Administration of Taiwan's Ministry of Finance: Taiwan's bike exports reached $1.89 billion in 2015, an increase of just over 10 percent compared with the same period in 2014. These figures excluded e-bike exports, which were reported separately. Exports to both Europe and the U.S. saw double-digit growth in 2015. The EU accounted for 55 percent, or 2.2 million units, of Taiwan's complete bike exports in 2015. The NAFTA nations imported over 830,000 units from Taiwan, or 20.8 percent of its total exports. Complete bike exports (excluding e-bikes) to the U.S. rose 20.9 percent, by 125,000 units in 2015. And exports to Italy surged 96.5 percent with 61,000 more units shipped compared with 2014. The TAIPEI CYCLE d&i awards, says its website, was launched in 2011 to create an official seal of quality that shows design and innovation accomplishment. Since then, the TAITRA and the TBA present the awards, while the competition is implemented by the globally-recognized iF and has grown into one of the most highly respected design competitions for the international cycling industry. Each year, numerous entries from around 16 nations compete for the honors. Award categories include 'Bicycles, Components + Parts', 'Peripherals + Accessories' and 'E-bikes + Pedelecs'. The best products are selected based on criteria including innovation/creativity, quality of design, workmanship, material, sustainability, functionality, utility value, safety, ergonomics and universal design. A total of 182 entries from a record 19 countries were submitted this year. The TAIPEI CYCLE d&i awards has seen the number of international entries rise 29 percent since last year, testifying to its influence among the international cycle design community. A wider range of entries was presented this year than in the past: Apart from entries meeting the needs of professional cyclists, the competition saw innovative ideas and designs to enhance comfort, safety and convenience of all cyclists. The entries this year generally showed more attention to detail and more functionality, which is true of the trend in the cycling industry, IF DESIGN ASIA said. This year the jury members included Henry Chang (Gearlab Co. Ltd., Taiwan), Francois Liang (Cycling and Health Tech. Industry R&D Center, Taiwan), Adriana Monk (Monk Design, Markus Storck (Storck Bicycle GmbH, Germany), Ken O'Rourke (KOR-Design, Taiwan), Kevin Mayne (European Cyclists' Federation, Belgium), and Cheng-non Hsu (Rikulau International Co. Ltd., Taiwan). The judges shed light on the core purpose of design being to solve problems with simplified design, and this year's award winners achieved overall excellent design that incorporates smart functions and details. The award encourages designers to be trend-setters to come up with innovative ideas that enhance the experience of cycling by developing more user-friendly features. In addition and arguably more importantly, the event offers startups from both Taiwan and abroad a chance to gain exposure on a global stage, and innovative small-and-mid-sized companies to showcase products alongside internationally leading brands. The panel selects winners based on criteria as degree of innovation, design quality, workmanship, choice of material, environmental sustainability, functionality, utility, safety, ergonomics and universal design. All the award-winning products will also be shown September 21-13 at 2016 Interbike, Las Vegas. Below are the winners of the Taipei Cycle d&i Awards 2016, including the five Gold Award winners and the "Gold Award – Young Enterprise" winner. 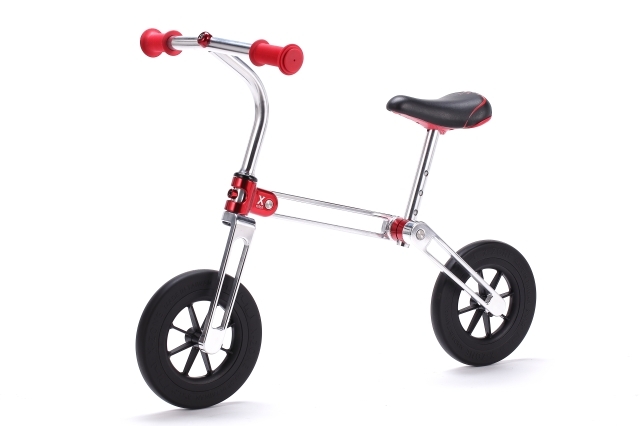 Design office: Chuhn Chuan Corp.
X-mini is designed with multi-adjustability in frame-angle, handlebar distance and saddle height, so as to enable kids at various stages of growth to ride easily. 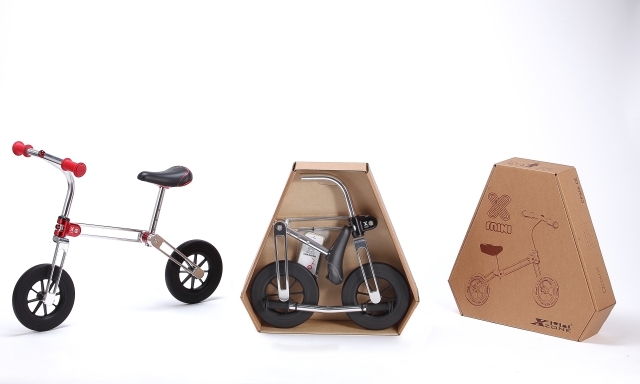 X-mini is suitable for children aged 2-5, who would certainly appreciate its adjustable wheelbase as a truly practical design. Longer wheelbase enables greater riding stability, with shorter wheelbase enhancing steering flexibility. X-mini realizes a fun ride even for a child who is a first-timer on a bike. Sporting a streamlined structure and weighing merely 2.47 kgs. the aluminum frame is 100% CNC machined and is foldable for convenient portability. X-mini is patented in over 30 countries and certified by EN-71, ASTM F963-11, CPSIA etc. to show fully-reliable safety. The clean, straightforward, no non-sense design makes any kid the coolest on the block. Beautifully machined parts and a clever folding mechanism at the central pivot make it a neat package. Every critical feature has been dealt with ingeniously to deliver an unique alternative to wooden push-bikes available on the market today. Design office: Gigantex Composite Technologies Co., Ltd.
Client/Manufacturer: Gigantex Composite Technologies Co., Ltd.
CP016 has evolved from its predecessors, CP12 and CP13, winners of the iF Design Award in 2013 and 2014, respectively. 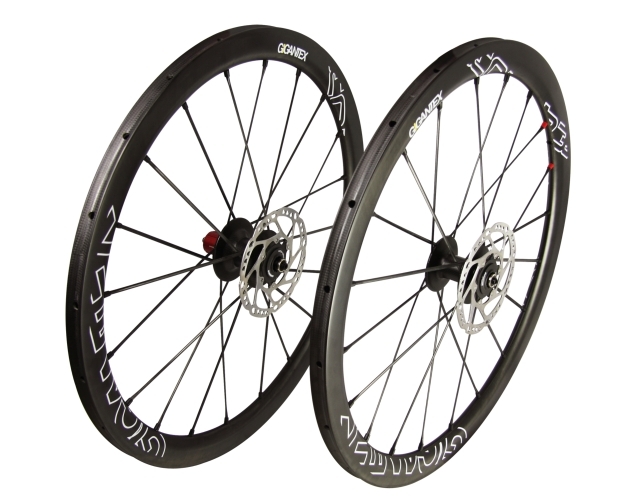 It is also one of the very few carbon spoke wheels designed for disc brake systems. The wheel comprises the following parts to deliver industry-leading performance. • Rim featuring weight reduction of 20%, with the wide-body aerodynamic carbon rims made of T-1000 or UMS40-6K high modulus carbon fiber. 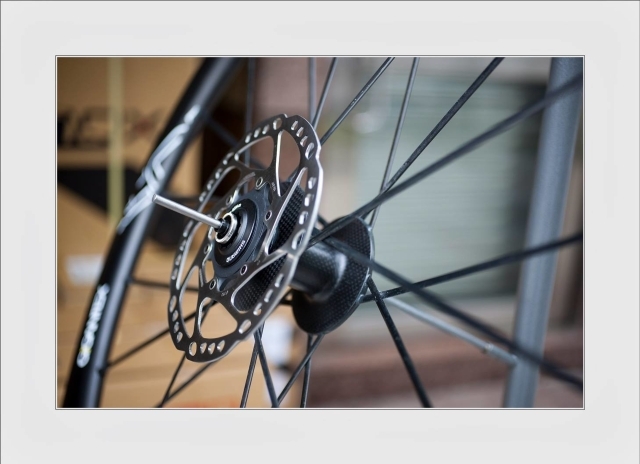 • Hub/spoke design targets installation on bikes with disc brake system, with the spokes made of a monocoque structure to help increase energy transfer and maneuverability. All the elements come together to achieve the usual, sought-after characteristics of carbon fiber including featherweight, stiffness, and corrosion-resistance in this all-carbon spoke wheel. This state-of-the-art carbon fiber wheel made for disc brakes with adjustable carbon fiber spokes is lightweight and precision manufactured. The exaggerated shape of the hub design takes full advantage of the properties of carbon composite. Performance, perfection and upscale look have been achieved in the slick design to make this an upmarket, niche product that deserves special mention. Client/Manufacturer: HydraKnight Innovation Co., Ltd. The Diavelo inflatable jacket is especially developed for riding electric bikes. Travelling at 45km an hour is relatively fast to result in wind buffeting, wind-chill that can feel very cold, especially when a rider is not pedaling hard. The jacket protects a rider from wind-chill when it is inflated. When deflated, it is almost paper-thin to occupy minimal space to fit into a backpack or small pocket, a feature that is extremely practical for especially urban commuters who demand minimized baggage. 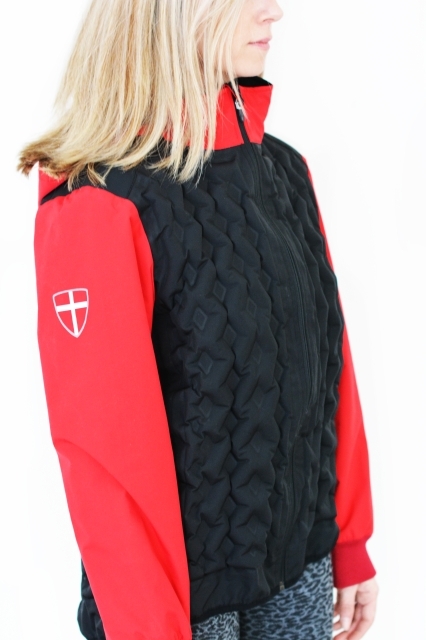 The product is superbly designed, stylish and practical, but most importantly it addresses the problem of protection against wind-chill because the insulation can be varied with the seasons. Deflate it to compact dimensions makes it easy to carry around. Design office: SUPER B PRECISION TOOLS CO., LTD.
Client/Manufacturer: SUPER B PRECISION TOOLS CO., LTD.
• Innovatively designed to secure cassettes by pivoting single-handedly, it protects hands from sustaining injuries. 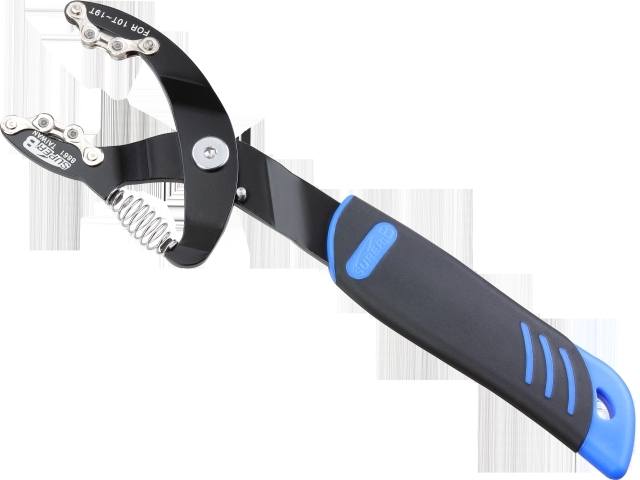 • The predictable, adjustable opening can be maneuvered quickly to lock onto cogs with gear sizes ranging from 10-19. It is compatible with 5-11 speed chains, and lowers the possibility of deforming sprocket caused by backyard mechanics and users who are clumsy. 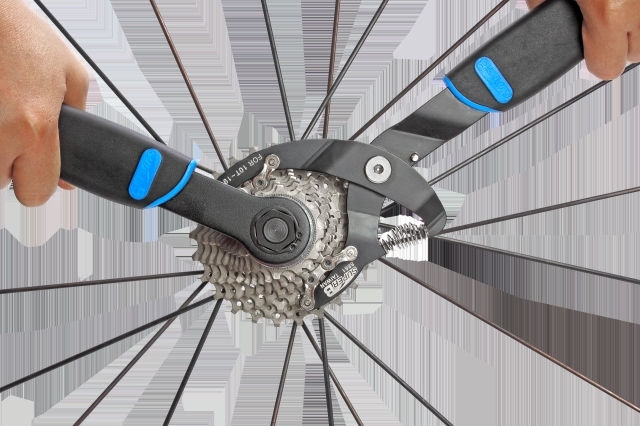 • Because of the recoil spring, the cassette sprocket will be tightly attached to the tool, which prevents the sprocket from falling off the hub, to also eliminate the concern of having sprockets strewn all over after the lock ring is loosened and removed. The innovative way of using spring tension to enable the pliers to lock onto cassette is fantastic. This design eliminates the need to open one's hand to reduce possible injuries. This simple tool has no frills but is a great innovation that is well designed. It is encouraging to see someone spending time and effort to tweak one of the unsung heroes of the cycle workshop. 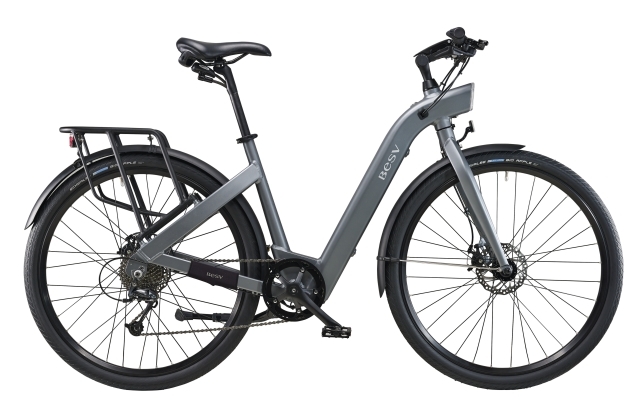 The CF1 e-bike has a hidden battery and diamond headlight integrated into its streamlined L-shaped frame that is both stylish and easy to step through. Equipped with advanced Algorithmic power drive system, CF1 provides the level of assistance a rider needs for optimal ride comfort. Inspired by the automotive industry, CF1 features a one-step power start-up. Simply press the button to be ready to go. A battery indicator button smartly shows the charging level. A relatively light overall weight of just 22kg (with most steel-framed cycles being about 25 kgs.) results in easy handling, as well as power-off pedaling that is not too strenuous. 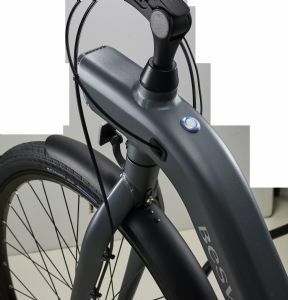 BESV CF1 has thought through the needs of the urban e-bike. It performs particularly well with its built-in features which includes lights, sturdy rack, lock and battery integrated within a very stylish frame. The geometry is fairly upright to minimize bending of spine to result in a comfortable ride in city. The Quinn solves many issues that bother cycling commuters today. Its key feature, the central cargo space situated above the bike's center-of-gravity for easy reach, fits messenger and laptop bags and similar-sized carriers. The bike's compact size fits in most elevators to make it an ideal urban cycle. The frame also has numerous, pre-set mounting points for stowing other types of bags or carriers, and for fitting a battery if an electric drivetrain is preferred. 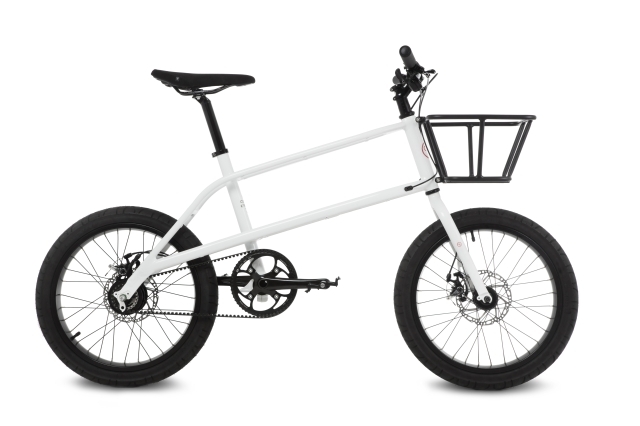 Essentially, the Quinn is a customizable bike for which a rider can choose various types of accessories and components for installation. This model combines the stocky strength and urban cred of a BMX but offers riders some practical, eye-catching options such as bag carrier and basket. Its 3-speed internal-gear hub with belt drive and fat tires make it an efficient and fun bike to ride around town. This overall design targets a niche market that is looking for a bike with a degree of BMX merit but a bit more practicality for a grown-up lifestyle!